** Programs designated as online can be completed in their entirety online. Some courses that are part of an online program may require an intensive residential component. The prospective student must seek admission to The Graduate School in order to pursue graduate studies. Application and all details may be found online at HBU.edu/Grad-Apply. Recommendation Forms are required in support of the program application in addition to a current resume. See individual program requirements for further details. An undergraduate degree from a regionally accredited institution is required for admission to all graduate programs. However, the University will consider undergraduate degrees from other institutions on a case-by-case basis. Some programs require either the Graduate Record Examination (GRE), or the Graduate Management Admissions Test (GMAT) for admission. Waivers may be available depending upon undergraduate GPA for select programs. Refer to HBU.edu/GradAdmitReq for specific program requirements. When required, it is the student’s responsibility to have GRE or GMAT scores sent directly to HBU from the administering test service. GRE: www.ETS.org – HBU GRE code is – 6282. GMAT: www.MBA.com – HBU GMAT code is – 9JD-54-68. Official transcripts should be sent directly to The Graduate School from the college or university that awarded the bachelor’s degree and any additional coursework taken since that time. The Graduate School may admit students as non-degree seeking applicants who wish to take courses from one of our graduate programs but are not enrolled in one of our approved programs. Non-degree students, except some who are in an approved program, do not receive financial aid or scholarships. Admission requirements for non-degree seeking students vary depending on program. Transient applicants are individuals who are enrolled in another institution and come to HBU to take courses. Transient students do not receive financial aid or scholarships. Applicants are only required to submit a transient application through the Registrar’s Office and a letter of good standing from the institution in which they are enrolled. There are occasions when students may be admitted for up to one semester with an incomplete application. Students admitted in such a way are expected to submit any missing items before the end of their first semester if they desire to continue into another semester. Students who have an incomplete application cannot take a course that is only for state licensure or certification programs. International students should refer to the International Admissions section of the HBU website for details on additional admission requirements. HBU.edu/international. Holders of 3-year bachelor’s degrees from outside the United States may be considered for graduate admission. Any applicant who has Permanent Resident or Resident Alien status must provide a copy of his or her green card to The Graduate School. If the applicant has not completed more than two (2) years of college work at a regionally accredited institution within the United States, he or she may be required to submit an acceptable score on the TOEFL. 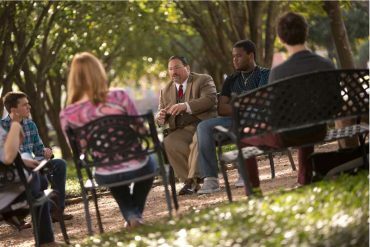 When a candidate completes his or her application to the HBU Graduate School, the staff begins a comprehensive, holistic review. 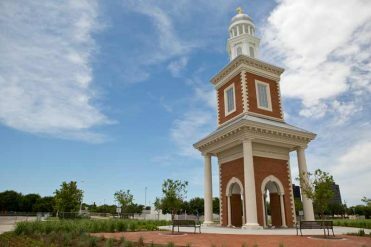 In a holistic review process, HBU considers the applicant as a whole individual, not merely select parts such as GPA or test scores. 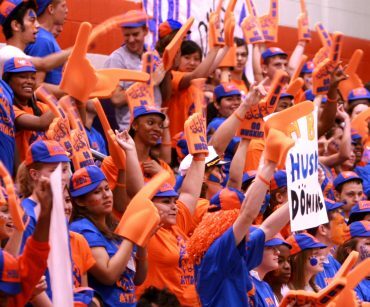 In doing so, the Graduate School director of admissions evaluates applicants based on who will contribute to HBU’s academic community in meaningful ways. Holistic review takes into account factors such as a student’s strength of undergraduate coursework, work experience, test scores, academic professional goals, unique talents, and personality. By evaluating an application from a holistic perspective, we take the time to get to know applicants as people, not as numbers. After a holistic review, if a candidate is found to be slightly below admission standards, the Graduate School may offer conditional admission or review by the Graduate Admissions Review Board at the discretion of the director of graduate admissions. 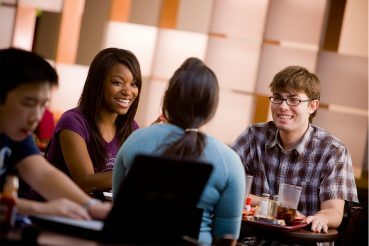 Students may apply for admission to The Graduate School throughout the year. Refer to the website, HBU.edu/Grad-Apply for deadlines. Please note scholarship deadlines are prior to the final application deadline. Waiting until the deadline does not guarantee course availability. Not all degree programs may be entered every semester. For international applicants, the Graduate School should receive all credentials (application, GRE-GMAT-TOEFL scores, foreign transcript evaluation reports, recommendations, resume, written statements, etc.) at least 60 days prior to the application deadline for the intended start term. One (1) current or former graduate professor (references from alternate administrators may be accepted. Include an explanation.). Personal Statement – As part of the application process, a statement of the student’s interest should be submitted. Resume/CV – Email a current resume or CV with references to the Graduate School at GradAdmissions@HBU.edu. Processing Fee - Applicants will be required to submit a $75.00 processing fee, payable online at HBU.edu/GradAppFee, or by check or money order. Language Study – Candidates must have significant undergraduate coursework in a biblical language(s). Candidates coming in without coursework in biblical languages will be required to complete the necessary leveling courses. Two (2) Recommendation Forms – Recommenders should submit the completed forms directly to the Graduate School via email at GradAdmissions@HBU.edu. Recommendations must be from a professional or academic source. Forms from family members or friends will not be accepted. Recommendation forms must be sent directly from the recommenders to be considered valid. Resume/CV – Email a current resume or CV to the Graduate School at GradAdmissions@HBU.edu. Official GRE Report – Applicants must provide an official report of scores for the Graduate Record Examination (not more than five (5) years old). All sections will be taken into consideration – Quantitative, Verbal, and Analytical Writing. Details may be obtained from the Educational Testing Services website. The HBU GRE code is 6282. *You may be eligible for a GRE waiver if your undergraduate GPA is 3.0 or higher, or if your last 60 hours is 3.0 or higher. Two (2) Recommendation Forms – Recommenders should submit the completed forms directly to the Graduate School via email at GradAdmissions@HBU.edu. Recommendations must be from a professional or academic source. One form must be a pastoral recommendation. Forms from family members or friends will not be accepted. Recommendation forms must be sent directly from the recommenders to be considered valid. Resumé/CV – Email a current resumé or CV to the Graduate School at GradAdmissions@HBU.edu. Official GRE Report– Applicants must provide an official report of scores for the Graduate Record Examination (not more than five (5) years old). All sections will be taken into consideration – Quantitative, Verbal, and Analytical Writing. Details may be obtained from the Educational Testing Services website. The HBU GRE code is 6282. *You may be eligible for a GRE waiver if your undergraduate GPA is 3.0 or higher, or if your last 60 hours is 3.0 or higher. Candidates have graduated with a baccalaureate degree with a major in psychology in the last seven years from a regionally accredited college or university. Coursework should include the following: Introduction to Psychology, Abnormal Psychology, and Introduction to Statistics with a grade of B or better. Candidates may be accepted into the program and then take PSYC 5300 (General Psychology), PSYC 5301 (Introduction to Statistics), and PSYC 5302 (Abnormal Psychology) before beginning their graduate coursework. References – Applicants must provide contact information for two (2) references on their application. References must be professional or academic contacts. Friends and family members should not be listed as references. Verification that no disciplinary action has been taken against an applicant’s certificate or license. Additional Transcripts – For students applying to be certified in a content area, you are required to submit all of your transcripts to the Graduate School. Resume/CV and Service Record- Applicants must provide a current resume and an official school district, charter, or independent school service record. Some specializations may require a specific length of work experience as shown on the service record. Documents may be sent to the Graduate School at GradAdmissions@HBU.edu. Interview – An admission interview may be required. Certain specializations may have additional requirements. Contact your graduate admissions coordinator for more information. Resume & Service Record- Applicants must provide a current resume and an official school district, charter, or independent school service record. Applicants must have completed at least two (2) full-time professional years at an accredited school, university, or agency. Digital Portfolio – Please submit a flash drive, CD or DVD with 20-30 high-resolution, JPEG samples of your work. You may mail your flash drive, CD or DVD to The Graduate School. *Requires either a B.A. or a B.S. conferred degree. **Students who have previously earned a master’s degree with counseling or a related mental health field can return to HBU to take the additional courses need to gain their LPC certifications. **Students who have previously earned a master’s degree with psychology or counseling in the name can return to HBU to take the additional courses need to gain their LSSP certifications.